DALLAS — A white Dallas police officer who shot and killed a black neighbor in his home and later said she mistook his apartment for her own parked on the wrong floor of the complex’s garage after getting home from work that night, the city’s mayor said. Mayor Mike Rawlings disclosed the detail about the investigation into the Thursday night killing of 26-year-old Botham Jean on Sunday, which was when the officer, Amber Guyger, was arrested on a manslaughter charge. Guyger, 30, was booked into the Kaufman County Jail after being taken into custody, the Texas Department of Public Safety said in a news release, noting that it wouldn’t be releasing any additional information because the investigation is ongoing. A jail employee said Guyger was released on bond. Many questions remain about the shooting. 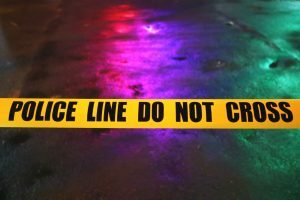 But on Monday, the Dallas County medical examiner’s office said that he died of a gunshot wound to the chest and that it had ruled his death a homicide. Lawyers for Jean’s family had been calling for Guyger’s arrest, saying the fact that she had remained free days after the shooting showed she was receiving favorable treatment. Shortly before her arrest was announced, they held a Sunday night news conference in which they pleaded again for her to be taken into custody and said their team had presented prosecutors with new evidence — a witness and video footage. They didn’t provide details. 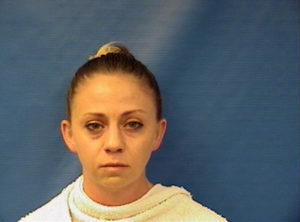 Officer Amber Guyger appears in a booking photo provided by the Kaufman County Sheriff’s Office, Sept. 10, 2018. Hall said Guyger’s blood was drawn at the scene so that it could be tested for alcohol and drugs, but authorities haven’t released the test results. Jean wasn’t the first person shot by Guyger. She shot another man, Uvaldo Perez, on May 12, 2017, while on duty, but she wasn’t charged.